Let's start catching up on the food in New York. Back track to the past. Warning: It is dangerous to watch Anthony Bourdain’s No Reservations while you're stuck on an airplane heading towards New York. Incidentally, Anthony Bourdain was doing a New York episode and he was hitting up all of my favorite spots around town. Arriving at John F. Kennedy airport, my brother Laijhun and good pal Alex Choe so kindly picked me up and asked if I was hungry. "2nd Avenue Deli pronto. I need a pastrami sandwich." 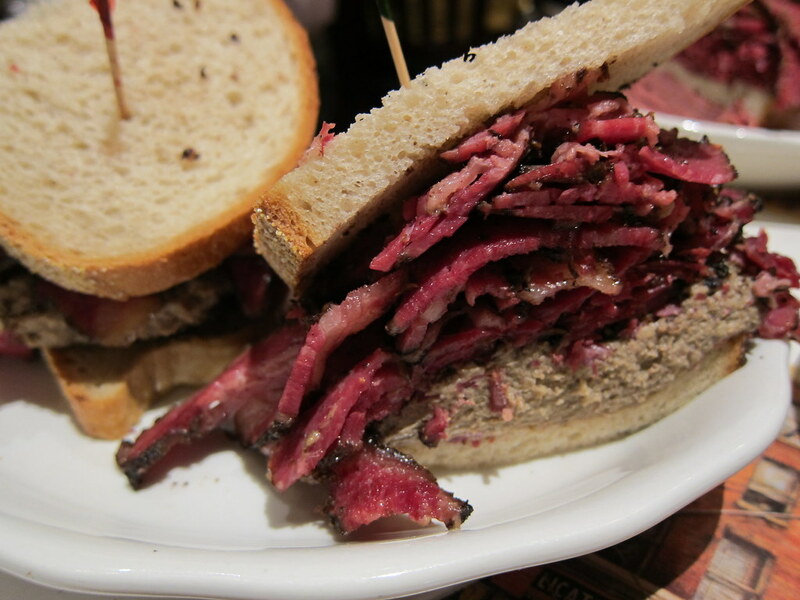 My usual go-to is pastrami on rye slathered with tangy mustard: Perfection in a sandwich. But I was inspired by the TV episode and decided to take it to another level with the addition of chopped liver. Turns out, I still like it simple—the chopped liver made it all so very overwhelming. The chopped liver was distracting me from my beloved pastrami. 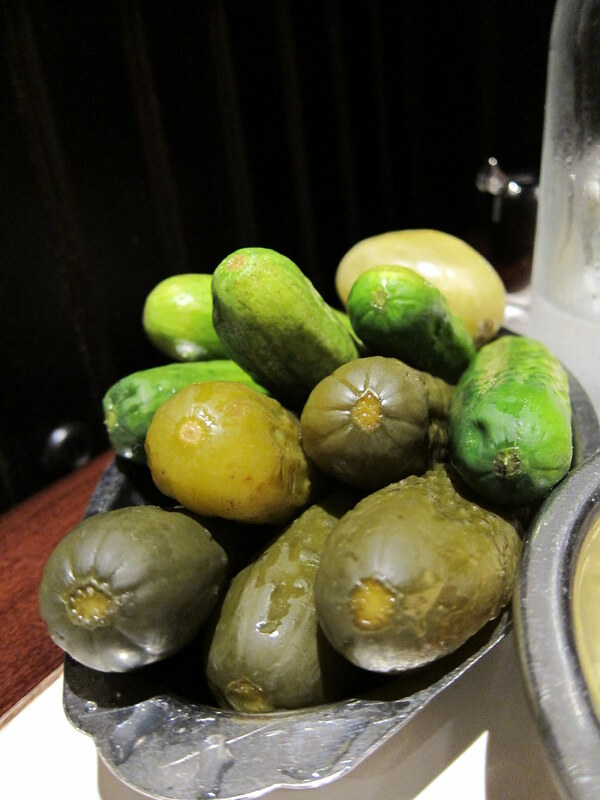 The bucket of refreshingly cold, crispy pickles and pickled tomatoes was casually tossed onto the table by our jovial waitress, soon to be greedily grabbed the moment it landed (the pickles that is, not the waitress). 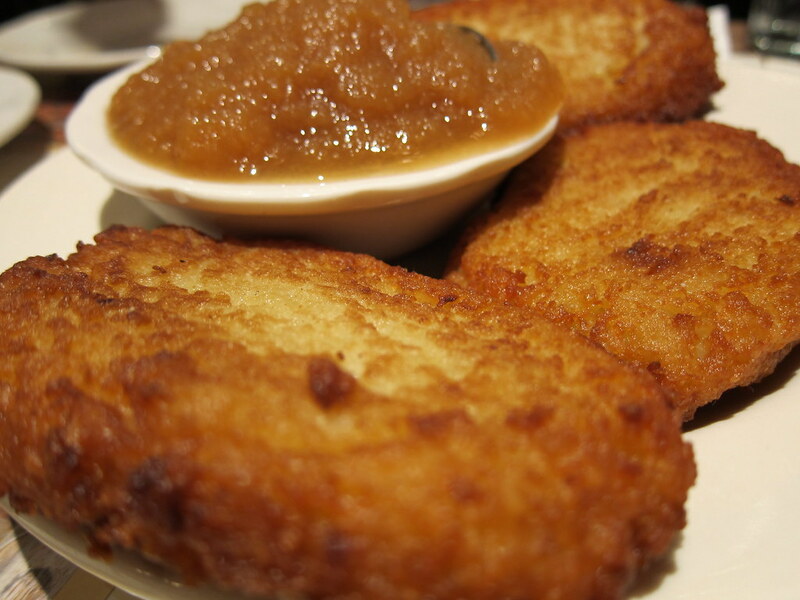 My usual sides were included: an order of some of the best potato pancakes in New York, potato salad, and a rootbeer. 2nd Avenue Deli. Still my favorite Jewish Delicatessen for pastrami in all of New York. See here and here for previous posts about this spot. haha, This... is... scrumptious! Just like the sandwich. Lol I love Robot Chicken.